and the poster is.......who? 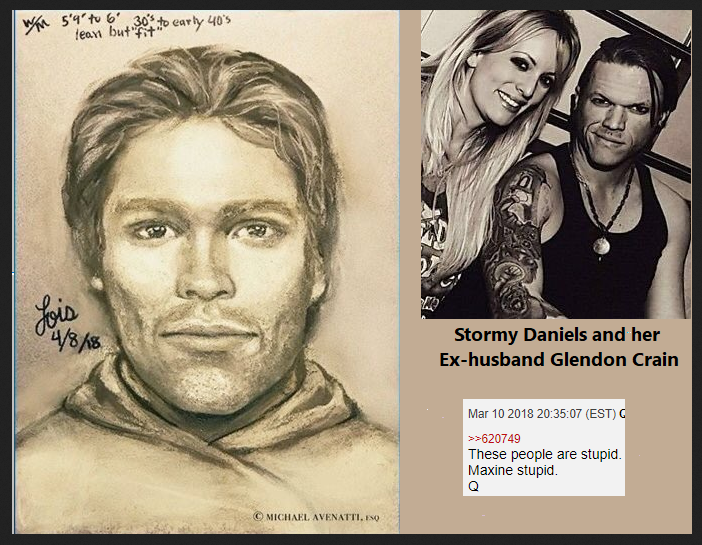 not Q......PDJT? (April Showers bring May Flowers) Iran is Next! Is saying John Mccain was followed, when he went to sale gas to Syria. And this was how the targets where found. Is saying the targets where assets of members of the deep state. It hangs together, if you do not ask where a US Senator gets gas to sell. Any ideas, did I miss a post explaining this? 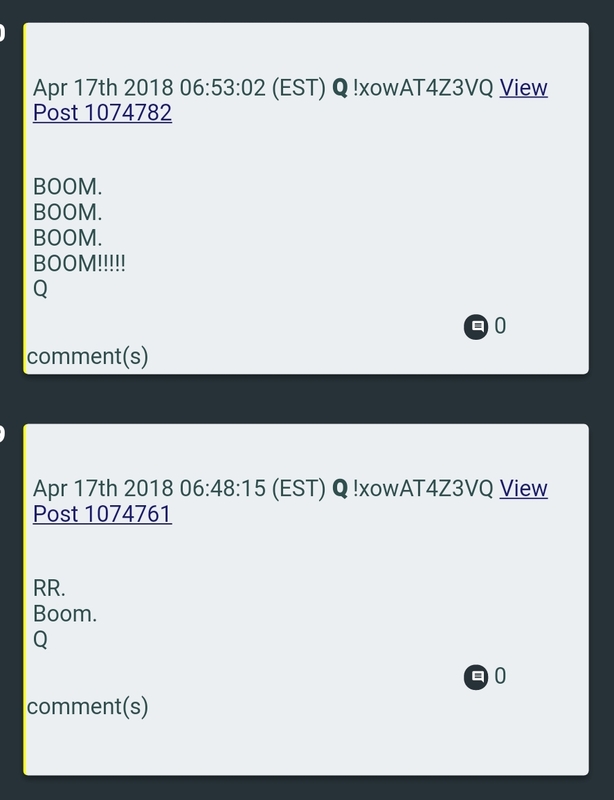 Slew of new Q posts concerning the OIG Mcabe report/Lynch/Weiner laptop..
Looks like Ginsburg's time is running out and she may be considering retirement. Looks like one of the Booms is Rod Rosentein's Impeachment/firing. OMG! If true, this will boost Trump's poll approval numbers into the 60% range. Libs heads will be exploding as they try and figure out a way to explain this is somehow bad news. I am so confused about Barbara Bush. I always liked and respected her. But since I started lurking at Qanon, I have become so confused. They despise her with passion. Claim she is evil incarnate. But I have yet to see the breads where she was investigated by the anons. I suspect it was when they were still on the old channel and I don't know how to get to it to study it. Why am I reminded of an early Arnold Schwartznegger? This broad is flat out mentally retarded. Nothing she says makes sense even from the perspective of a 10-year-old. Another great democrat / Gloria Allred production. No shame or dignity is even left in that operation. Hey, it's April 19...........where's the BOOM's ?!?! I still believe........ just make me happy for doing so, please.